It’s been a tough year for Coleytown Middle School. 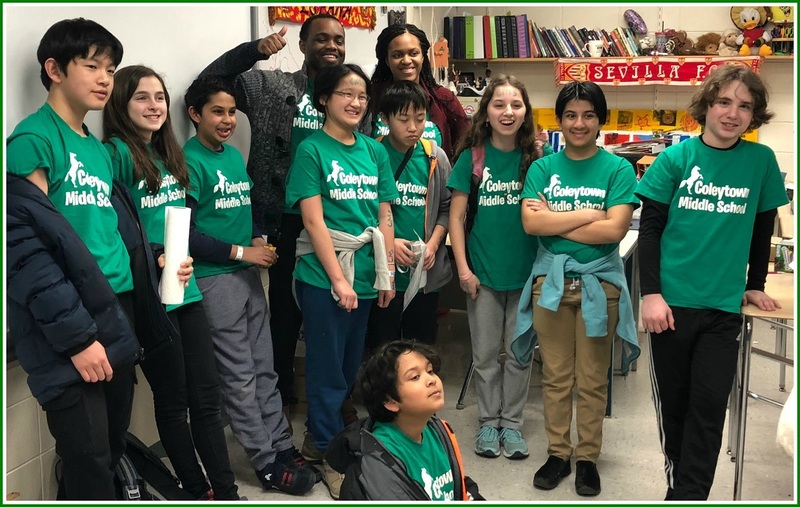 But moving to a new building did not stop some of the students from working hard in preparation for the Connecticut Science Olympiad Tournament. On Sunday in Farmington, they turned in outstanding performances at the tournament — in all 23 events. Coleytown students coached by Keenen Grace finished 7th in the state, including 10 top 5 finishes. The state Olympiad director gave a shout-out during the awards to the CMS students, saying they had done “particularly well” given the circumstances. Meanwhile, Bedford Middle School — coached by Art Ellis, with help from Kat Nicholas and Daniel Cortright — competed as 2 teams. The A team finished 1st. 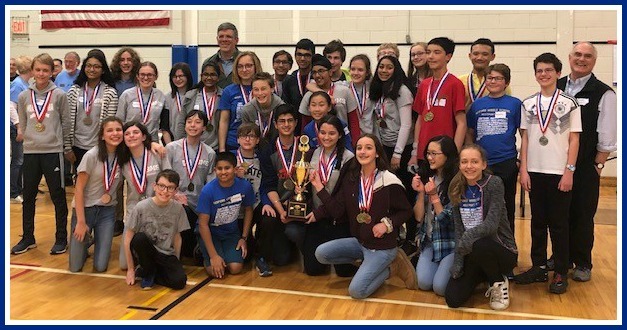 They’ll represent Connecticut at the Science Olympiad national tournament in June, at Cornell University. The B team was not far behind, in 3rd place. Congrats to all our great middle school Olympians! … and the Bedford Science Olympians. 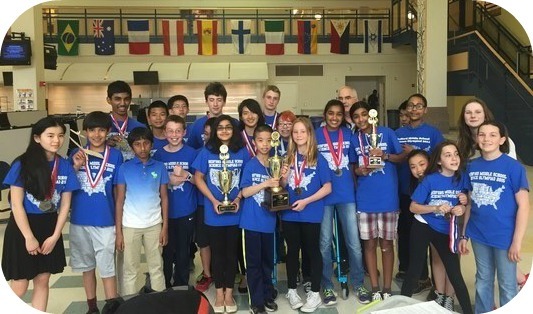 In just their 2nd year of existence, Bedford Middle School’s Science Olympiad team won the state championship. There’s no telling how far they’ll go now. Well, actually there is. They’re headed to University of Nebraska, for the national tournament next month. The 21 middle schoolers compete in a grueling “academic track meet.” They are judged in 23 events, covering topics like earth science, epidemiology, ecology, topography, chemistry, anatomy, entomology, forensics, physics, geology, environmental science, robotics, and mechanical/engineering construction. The youngsters designed a wooden glider launched by rubber bands, as well as a robot that can pick up small objects and move them around. They’ve also studied a crime scene (including chromatography, fingerprints and soil patterns), then written an essay about who did what (and how). The Science Olympiad program was introduced at Bedford by principal Adam Rosen — a former participant himself. Teachers Art Ellis and Rebecca Kaplan run it as a club. Students put hundreds of hours into preparation — after school nearly every day, and some Saturdays too. They’ve accomplished a lot. But they can’t do everything alone. Now — as they prepare for their trip to the nationals — they’re trying to raise $30,000, to cover airfare, buses, accommodations, meals and supplies for the Olympians and chaperones. A GoFundMe webpage has started them on their way. Team members include Mark Ballesteros, Ethan Chin, Genevieve Domenico, Tyler Edwards, Chet Ellis, Tommy Fabian, Anna Hill, Angela Ji, Vignesh Kareddy, Zach Katz, Charlie Kleeger, Augustin Liu, Maria Maisonet, Aniruddha Murali, Nishika Navrange, Swami Parimal, Sirnia Prasad, Jory Teltser, Alex Tsang and Derek Ye.